Synopsis: In this parody of Top Gun (amongst many others) Topper Harley is a Navy fighter pilot who has mental issues - especially when someone compares him to his father. He and his wing serves on the carrier S.S. Essess and it's their task to destroy a nuclear plant of Saddam Hussein's. But there are also saboteurs who want to prove the ineffectiveness of the current Navy planes in order to sell them new ones. 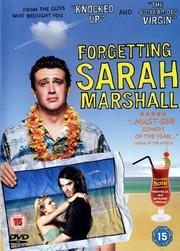 My Opinion: While I still enjoyed this movie very much, I had very few laugh-out-loud moments. There were more sentimental smiles every time I recognized the movie that was spoofed in this scene. But what I found very amusing was to see "Alan Harper" (Two and a Half Men) as 'Wash Out'. I hadn't seen this movie since before I started to watch TaaHM. This was also the first time I watched this movie in English and have to say that there were some good puns in the German dubbing that weren't in the original and I was a bit disappointed. I was like "I wonder what the original version of 'Mach 1, Mach 2, Mach 3, Mach Feierabend!' or 'Heb nicht ab vom Acker ohne deinen Tacker!' will be." and then there was ... nothing. Synopsis: Topper - who lives in a buddhist monastery now - is contacted by the CIA. They want him to rescue a rescue team that tried to rescue a rescue team that tried to rescue some hostages from Iraq. In order to accomplish this they meet with their contact deep in enemy territory - and the contact (codename "Bench Press") happens to be Ramada. My Opinion: This time they spoofed the Rambo and other commando team movies and I enjoyed this more than the previous one. Especially in the beginning with the monastery and the Kickboxer fight. Or the scene on the jungle river (In Iraq?!? ) where Charlie Sheen meets his father (one starred in Platoon, the other in Apocalypse Now) and they congratulate each other for Wall Street. 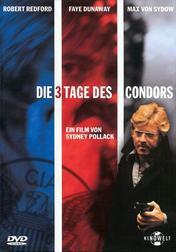 Or the scene with the body count - "Bloodiest movie of all time". So great. Synopsis: Four years ago the head of the Deadly Viper Assassination Squad decided to kill on of its former members: *beep* a.k.a. Black Mamba. They killed 9 members of the wedding party including Mamba's unborn daughter. They should have killed 10. Mamba has survived and now she wants revenge. Her first targets are O-Ren Ishii a.k.a. Cottonmouth and Vernita Green a.k.a. Copperhead. My Opinion: "If on your journey you should encounter God, God will be cut." I love the mixture of English and Japanese in this movie (Japanese/Japan is a very fascinating language/country for me) and the Katana is one of if not the most elegant blade weapon(s) and I love fighting scenes with them. But the scene that sends shivers down my spine is when Hanzo shows Mamba his collection. The respect and reverence she showed towards these instruments of death and the music that is played makes me want to be there in that very moment. From the moment she enters Hanzo's sushi restaurant until he gives her her own Katana is the highlight of the movie for me, not the big end fight. But of course I enjoy that, too. I am still amazed every time, how well the use of "Don't let me be misunderstood" fit the fight between O-Ren and The Bride. I see you have the Japanese version with the full-color battle scene and slightly more violence...? Yep. Now you see why Sofie lost both her arms. The drawback is that the subtitles don't automatically appears when someone speaks Japanese, which is logical from a Japanese POV. Well, I would have loved to see it, but the Weinsteins (and Tarantino) didn't want me to. I had waited a long time for The Whole Bloody Affair and eventually gave up, double dipping the films with Disney's Blu-ray releases; who also clearly deserved the money for a great transfer and all... I have set my mind strongly on not getting The Whole Bloody Affair when/if it gets released. Similar to what I do with Grindhouse, except here I will wait for the Grindhouse release on Blu-ray and will not buy the segment releases (which I own on DVDs already). Or like with Magnolia (who will only see little money from me in the furture) for the screw up with Let The Right One In. Instead of getting their corrected disc I purchased the UK release which is supposed to be All Region (*knocks on wood* as it's not arrived yet), giving my money to a worthier distributor. I know what it feels like. When I watched the film in the cinema here in Taiwan They would have subtitles through the entire film, including the Japanese sections. But, those were Chinese subtitles and no English ones came up when they spoke Japanese. Synopsis: When a couple of junkies break into a pharmacy they are cornered by the police and most of them get killed. But Nikita survives and kills a cop. She's sentenced to 10 + 30 years. 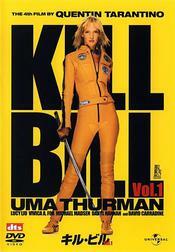 But then a government agency takes an interest in her, trains her and makes her an assassin. From now on she lives a public life as nurse and a secret life as killer. My Opinion: The only thing I found interesting was that the training took actually several years (and were depicted as such) and that several jobs took months to plan - in modern day movies such an operation is often just a matter of days to plan and execute. But I had hoped that this Luc Besson movie would be somewhat the template for the character of Sydney Bristow in Alias. But it was not. This movie was so slow-paced it was nearly standing still. OK, there was another thing I found interesting: Jean Reno in the role of a cleaner, I assume that's where Besson got the idea for his later (and way better) movie Léon. I remember seeing Nikita at the cinema and loving it a lot. While not really a fast paced action piece (hey, neither is Léon) it brings across Besson's style. Just compare it with the lackluster American remake... I would have to see it again to judge if I can maintain this opnion today. OK, there was another thing I found interesting: Jean Reno in the role of a cleaner, I assume that's where Besson got the idea for his later (and way better) movie Léon. I always thought that Tarantino's/Keitel's The Wolf owes a lot to Reno's Cleaner, too. Synopsis: Kate's life is the kitchen. She's the head chef of a famous restaurant and she's the best. But then her sister dies in a car crash and suddenly she has to take care of her niece. 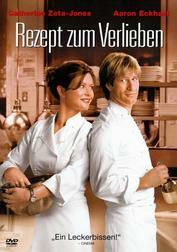 And to make matters worse, her boss hires an additional chef, Nick, whose specialty is italian food. And from where Kate is standing, it looks like he's taken over her kitchen! My Opinion: I really liked this after the disappointment that was Alex & Emma, especially since it has this melodramatic element of her adopting her niece and the difficulty to adjust to this new situation that both of them have. What I also liked was that the basically mandatory bump in their relationship wasn't caused by him this time, but by her. And I loved it when she threw a raw steak onto a customer's table because the previous two weren't rare enough for him. Synopsis: Joseph Turner works for the CIA, but he is no field agent. He reads books from all over the world to find codes, patterns and new ideas for the CIA. But one day when he's out getting lunch for himself and his colleagues all of them are killed. From now on he's on the run from people who want him dead and he doesn't even know why. And they are not foreign agents, they are CIA, too. My Opinion: That was a very interesting thriller from before the cell phone and computer age. I really enjoyed it how they conducted they spy work in this "old-fashioned" way. The drawback of modern day movies and shows is that whenever they need an information important for the plot they go to a computer, log into a magical database, type "open sesame" and whatever information they need appears immediately. Even face recognition from a bad surveillance camera shot takes no longer than a minute. And due to its age this movie was different, Condor needed more skill to get what he needed and he had to do actual footwork. Yes I liked it. 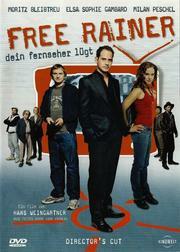 Synopsis: The TV producer Rainer is very successful in creating shows like "Get Your Own Superbaby" and other brainless activities. But when he has a car crash he also has a revelation. Humankind can't be that stupid, the viewing rates can't be real, it's impossible that people actually watch all that BS. He teams up with others. At first they want to prove that the rates are manipulated only to learn that they are real. Then they decide to hack the system and make their own rates to crush the crap and help better programmes along. My Opinion: The entire movie is very anvilicious but I still enjoyed it a lot. The supporting characters (the paranoid sociophobic person and a bunch of unemployeds with all kinds of problems) made this movie worthwhile. I also enjoyed both lead characters but they didn't feel as realistic as the others, more like "we act the way we do because it says so in the script". I also liked the ending when they moved to Haßloch (a real test market town in Germany) and began to manipulate purchase statistics. My Opinion: This was an interesting take on the genre. The characters were all very detailed and actually multi-dimensional. Even though Sarah was the bad guy of the play, it turns out that she really tried to make their relationship work and that he is at least partly at fault. Everything considered I have to say I like the middle part of this movie best. It started really slow until he arrived in Hawaii and the end was very conventional (I loved the Dracula musical though!) but the entire time on Hawaii was really good. PS: I don't think that I would have been able to ghandi out of that one scene. Synopsis: Elle Woods's dream is it to marry her boyfriend Warner Huntington III. But he has different plans. He dumps her because he wants to marry "a Jackie, not a Marilyn". And because she wants to prove her worth to him she also matriculates on Harvard Law School. Elle is not dumb, but she is the prototypical California Barbie and most people make her feel it - until she accepts the challenge. My Opinion: I love this movie. It's so perfectly harmless yet Reese is so cute in it. I especially like the time when she starts out at Harvard and is so different from every one else and nobody really knows what to make of her; or the scene where everyone has a black PC notebook and she sits between them all (already looking different with her parrot-coloured clothes) and opens her orange MacBook. Synopsis: In 2003 an army experiment went terribly wrong and an entire unit vanished into nothingness. Soon they discover that this unit has been transported back in time - into the year 1547. Suddenly all over Japan anomalies are forming that could be described as black holes and which threaten to destroy everything. In order to prevent this catastrophe two years later a second unit is sent back to repair the past and safe the future. 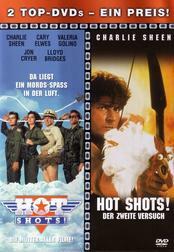 My Opinion: When I saw that DVD in the store, I knew I wanted to check it out but I was also quite certain to watch a cheesy B movie (a Samurai and an attack helicopter on the same battlefield?!) but this movie is actually pretty decent. They have thought of a reason why changes in the past don't immediately reflect in the future and they even thought about the fact that tanks and helicopters need fuel. Also the costumes and the special effects look quite good. Ironically the basic principle was the same as in western movies with hierarchy. The designated hero was an outsider and they killed his superiors off until he was in command and was able to save the day. I'm sure that I will watch this again. 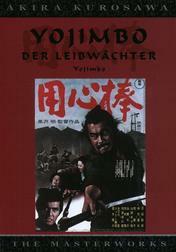 Synopsis: Sanjuro comes into a small town were two rivalling gangs fight for dominance and the town is suffering. Both sides have attracted criminals to work for them but none of them is a real fighter. Sanjuro decides to play both sides against each other and offers them both his help and through trickery he reduces their numbers to a manageable amount. 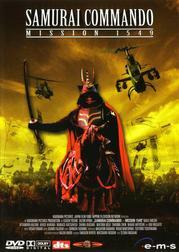 My Opinion: A plot which has been re-used many times ever since but it was great to see in this Kurosawa movie. The best moment for me was when Sanjuro fought against a gunslinger with a knife - and won. The irony is that I was made aware of this film because it was the favourite movie of Kevin Costner's character in The Bodyguard and now I really like it, too.